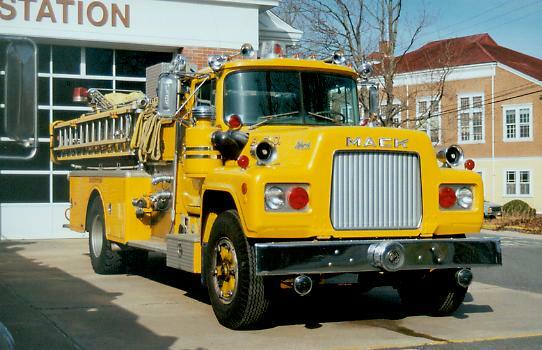 was a 1975 Mack CF600 with a 1250gpm pump and 1000 gallon tank. 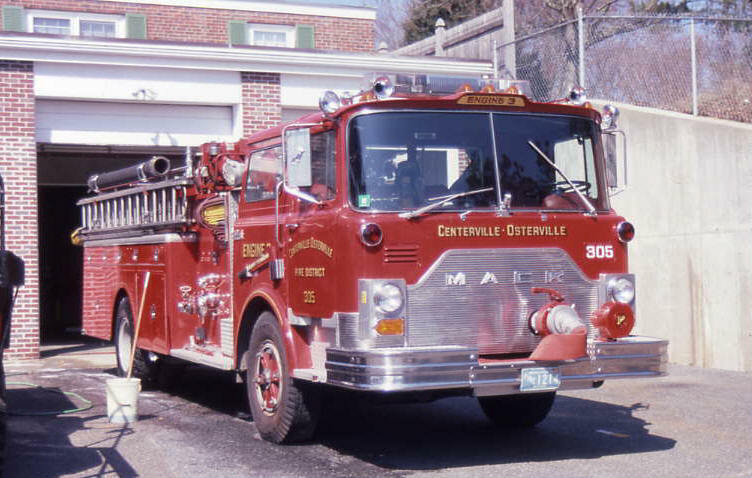 Today it still serves, with a different look, as Engine 302.
and some still serves on the Cape today. 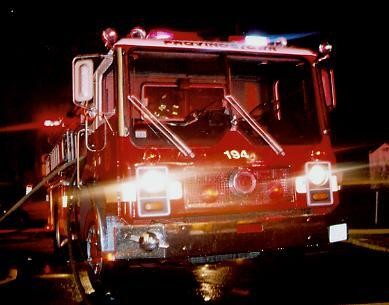 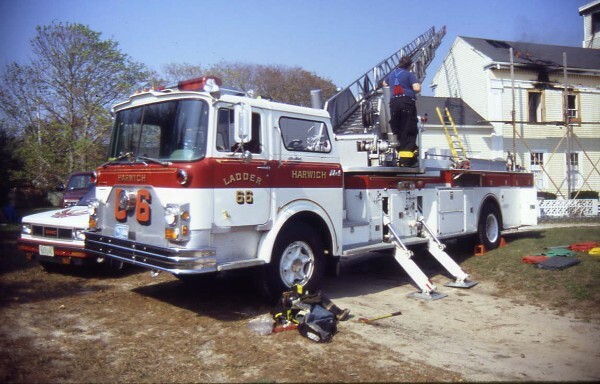 Harwich Ladder 1 operates at Orleans Fire. 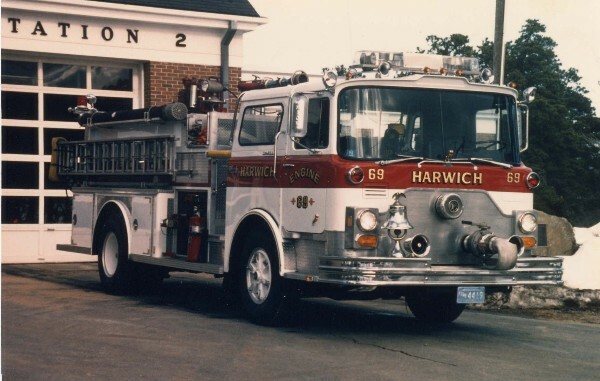 The Harwich Fire Department bought a 1976 Mack CF600 Pumper in 1975. 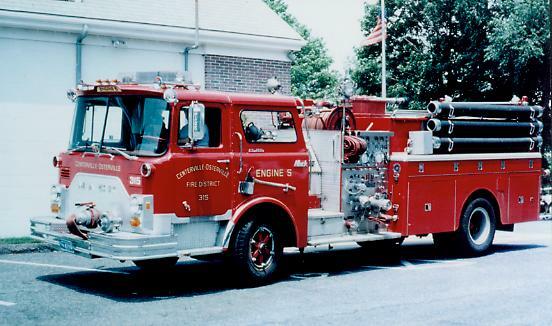 Engine 4 (Engine 69) had a 1250 gpm pump and 500 gallon tank. 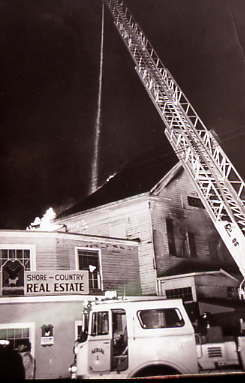 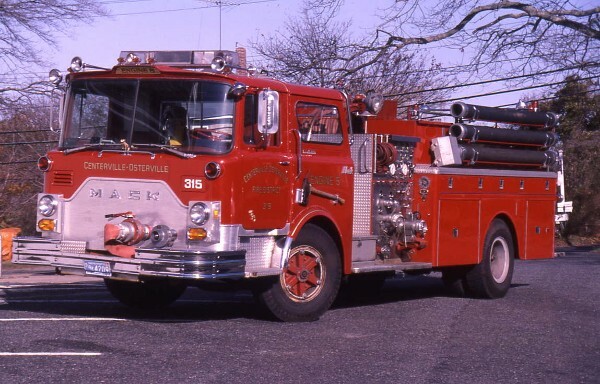 Engine 3, Harwich's 1953 American LaFrance is also shown. 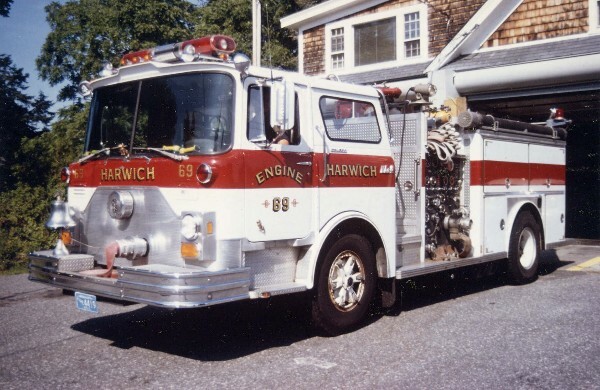 Harwich Engine 69, the 1976Mack CF600 with red stripe. 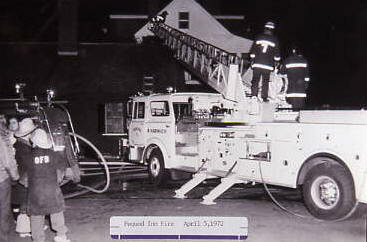 This apparatus later became Engine 65 and is now in reserve status. 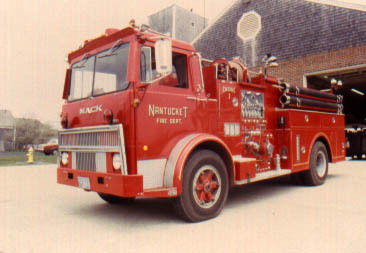 Nantucket operated this 1970's Mack MB Pumper as Engine 1. 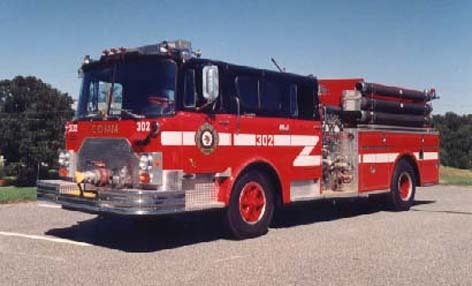 Engine 239 was used as the prototype for a 1986 Solido 1/60 scale toy fire engine. 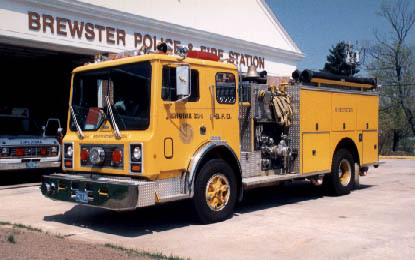 a MC series 1500 gpm/500 gallon Pumper built by Pierce and painted yellow. 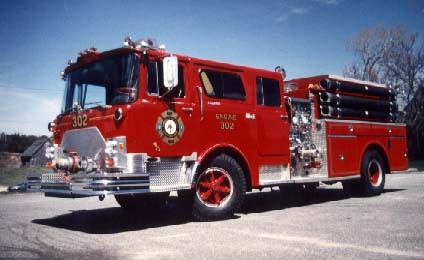 white over red department colors. 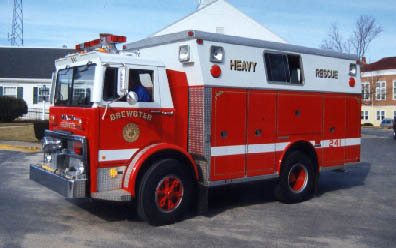 300 gallon tank, and more. 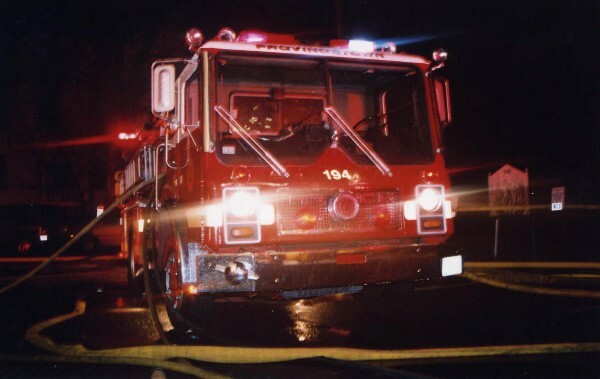 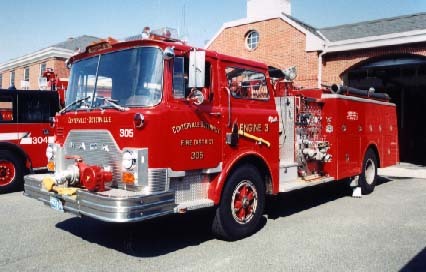 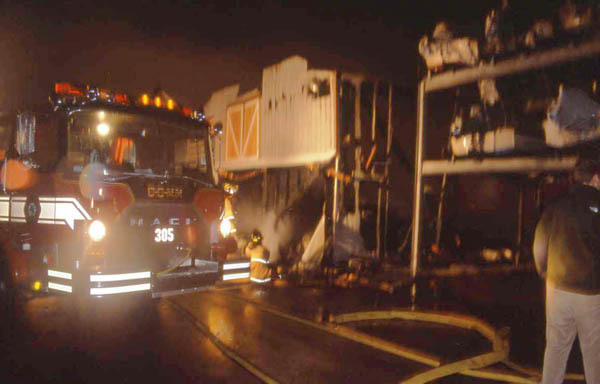 In 1987, COMM FD Engine 315 was refurbished and became Engine 302. 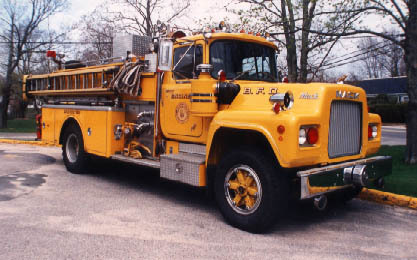 The fully enclosed cab and new body were done by EJ Murphy. 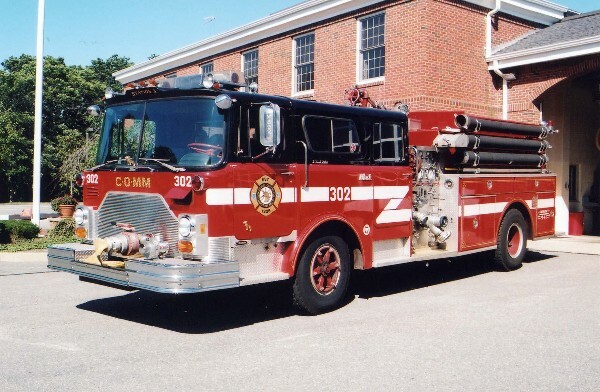 Today, COMM FD Engine 302 has the department's new black over red color scheme. 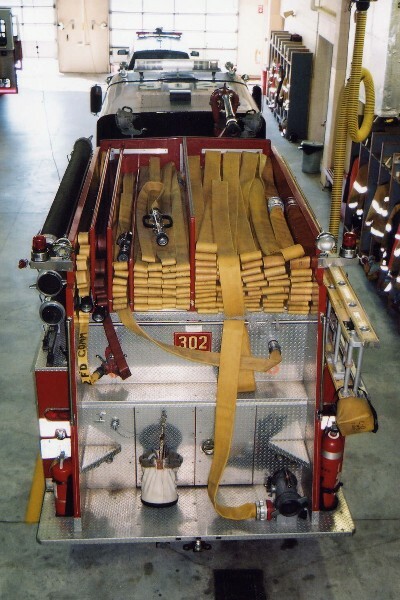 30' of hard suction and has (2) 150' 1-3/4" crosslays. 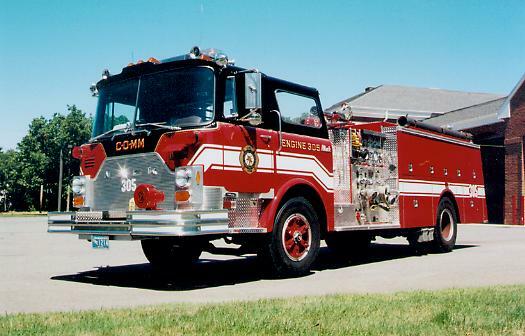 1250gpm/1000gallon pumper with high side compartments. 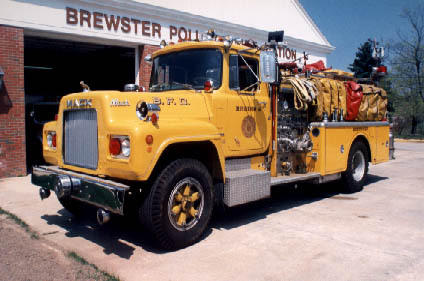 It carries the jaws tool. 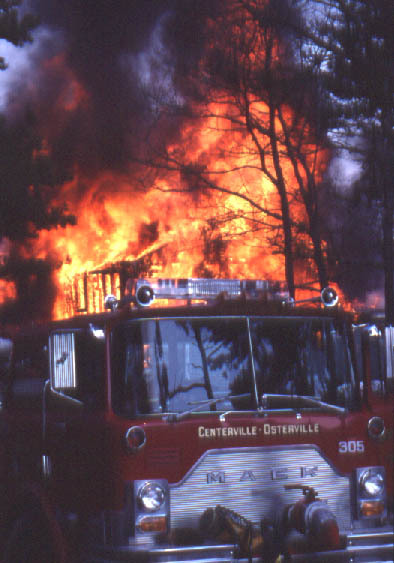 COMM Engine 305 at a burn drill. 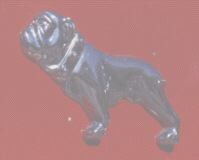 are expected to extend its service life. 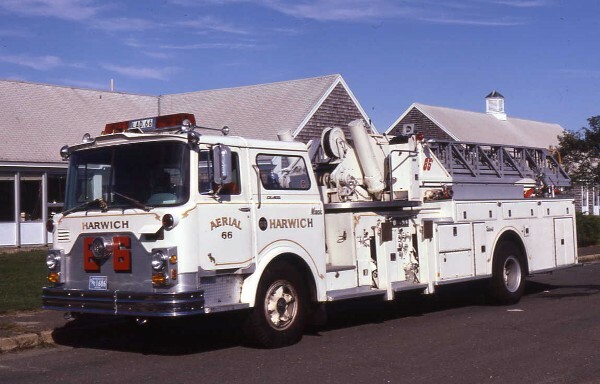 Provincetown purchased this 1980 Mack MC Pumper in 1997. 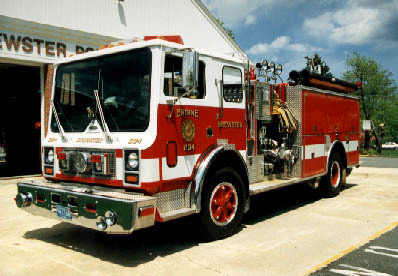 It has a 1250 gpm pump and 500 gallon tank. 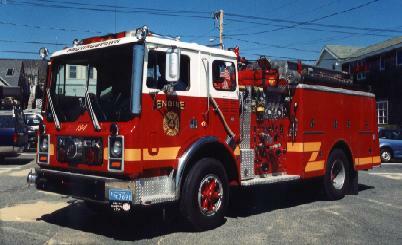 It is designated Engine 4 (Engine 194). 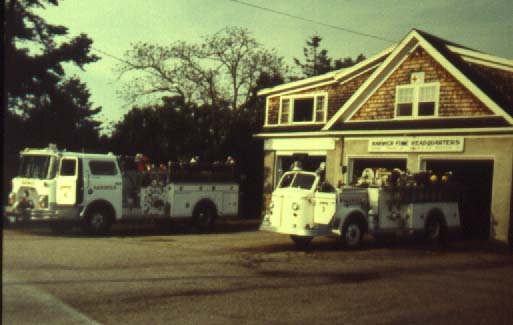 Provincetown Engine 194 operating at a 3rd alarm. 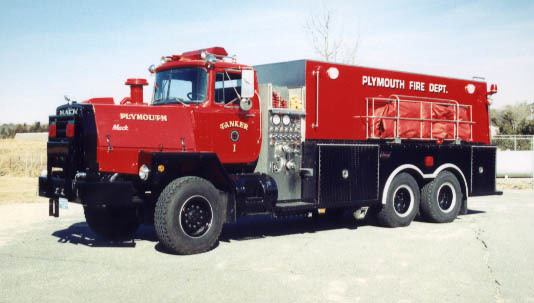 500gpm / 2500 gallon tanker.